First, Judith, tell us a little about yourself? I was born and raised in the San Francisco East Bay Area and got so spoiled with the beautiful weather and scenery that I'm still here! I've been married to my favorite person in the world for 43 years. We have one daughter and one granddaughter. I've worked as a counselor and as a copyeditor, taught grammar and Bible, and love reading, walking, and watching movies. I'm an INTJ (a Meyers-Briggs Temperament type), my favorite color is ocean blue, my favorite animal is feline, and I like my coffee black and bold. Genre is a moving target for me. 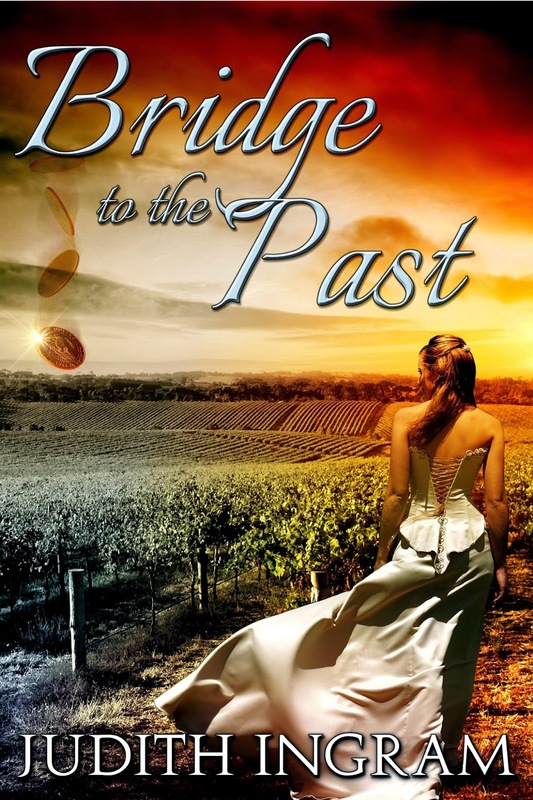 I've written inspirational nonfiction and a paranormal (time-travel) romance trilogy. 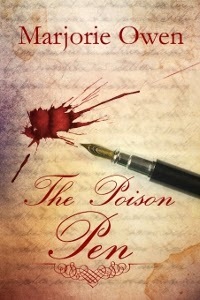 The novel I'm working on right now I'd call Christian romantic suspense. 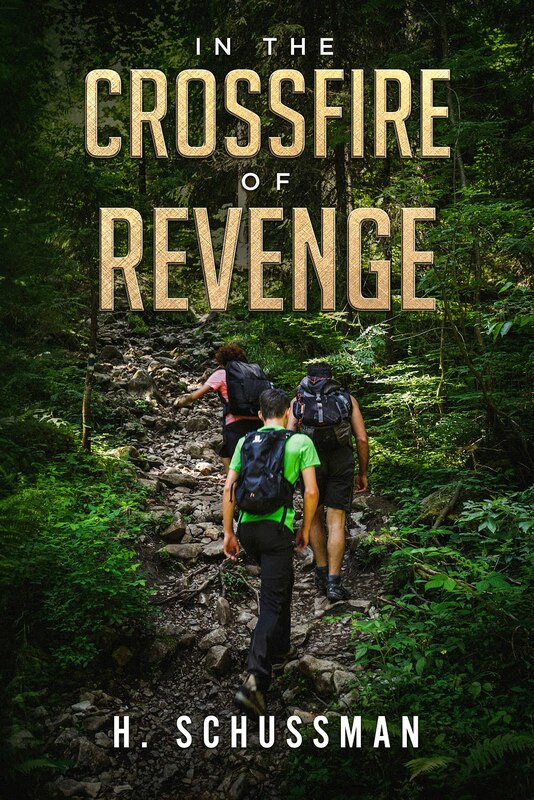 I also post weekly Christian devotionals about forgiveness on my blog; when I get to 365, I'll pull them all together into a book, Forgiving Day-by-Day (only 269 entries left to go!). My first memorable writing project was a short story I wrote in first grade about a poodle. It was reprinted in the school newsletter—my first publishing success! I was fascinated by my aunt's old Underwood typewriter, and I tapped out sheets and sheets of meandering stories just so I could staple them together to make "books." I don't recall a definitive moment when I decided I was a writer; I just always felt like one. 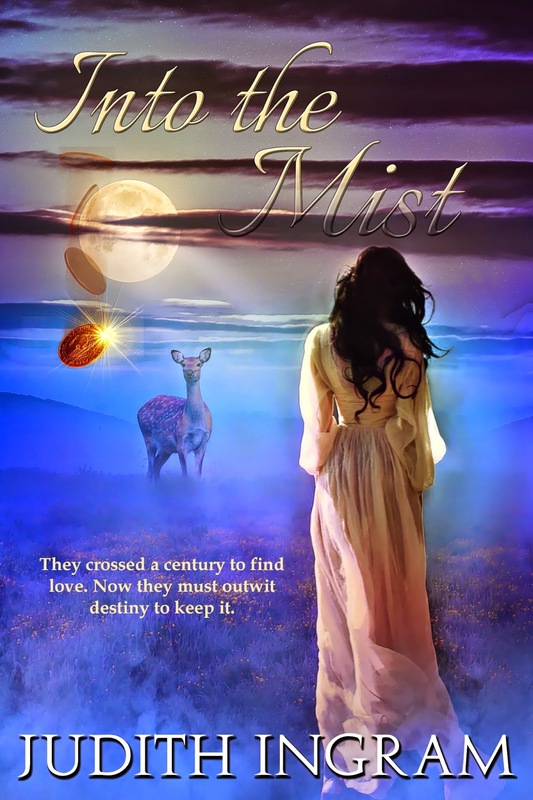 I just started first-round edits on Into the Mist, the final book in my time-travel romance trilogy, due for release in July 2015 from VinspirePublishing. 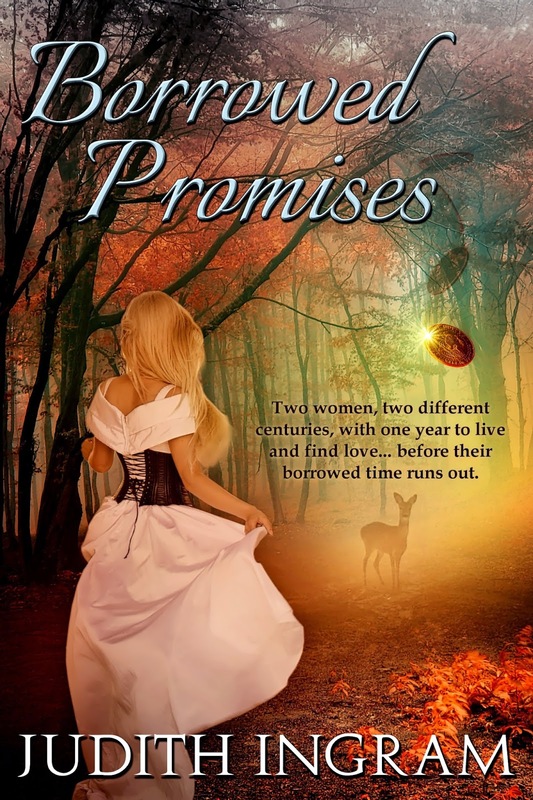 This third book in the series brings to a climax the story of Victoria and Katherine, two women born over a century apart who suddenly awaken in each other's bodies. 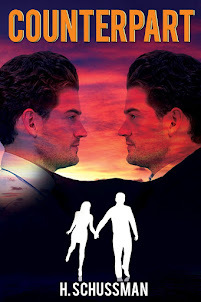 Each finds hope, romance, and a family to love in the other woman's world. As the year of exchange draws to a close, however, each fears she will lose all she has gained unless she finds a way to outwit destiny and hold tight to her borrowed life. My favorite human character has to be Michael, Victoria's romantic interest. He is so honest, tender, and funny; I enjoyed every scene I wrote for him. In so many ways he reflects my husband, whom I definitely adore! My favorite non-human character is Henry, the cat, who steadfastly befriends Katherine's shy little brother, Robbie. Ever the shrewd judge of character, Henry confirms for the reader whom to love and whom to hate in the novel. Oh, yes! I am Victoria, and I am Katherine, my two protagonists! Those two characters, with all their flaws and longings, grew right out of my own heart. Just like them, I survived an abusive childhood that haunted me, and it was through my personal recovery in therapy that their story emerged as a tale that needed to be told. I am convinced that our darkest experiences can provide fertile material for storytelling if we will do the brave work of facing them truthfully. My favorite place to write is at my desk in my little home study, surrounded by books and pictures of the people and places I love best. My window faces east, so California sunshine greets me with optimism most mornings. I need quiet when I write. I don't play music or write in busy places like coffee shops. I am by nature so single-minded that I can hardly talk and drive a car at the same time. I write the same way, totally immersed in my story or essay. I prefer typing on the computer to writing longhand because I can get the words out faster. If you could change places with your favorite author for one week, who would it be? No question, I would change places with Daphne du Maurier. I would love to feel the magic of her genius flow through my fingers and appear on manuscript pages. Perhaps if I didn't take time to eat or sleep, I could write a manuscript as enduring as Rebecca in that seven-day gift of time! Describe your experience of querying agents and publishers. Any tips? 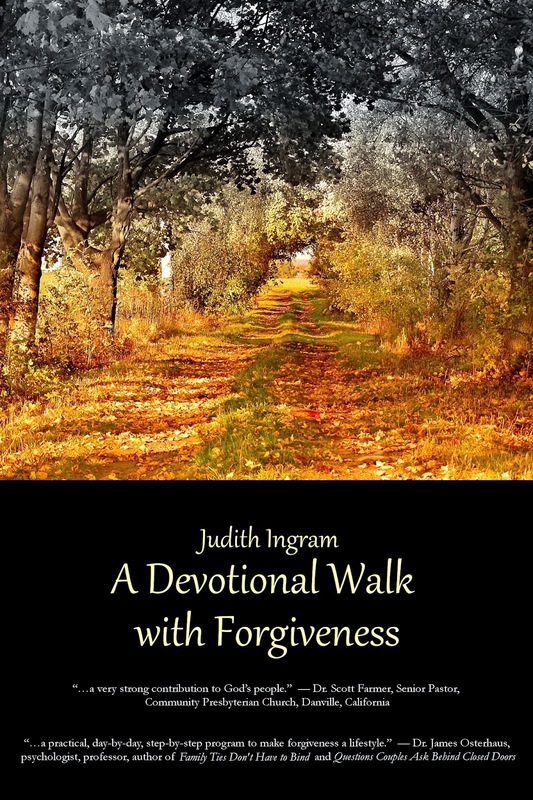 My first published book, A Devotional Walk with Forgiveness, is a five-week daily excursion into the reasons why forgiveness is important and how we can begin to practice it. The book works well as a study text for small groups, and a couple of groups went through the study while the book was still in its draft form. A friend of mine who went through the study mentioned the book to another friend, who just happened to be a published author herself. This author generously offered to introduce me to her publisher if I would send along a query letter. The publisher was looking for just this sort of book and eventually offered me a contract. Tip: Write the best book you possibly can and then stand behind it. Your query letter is your opportunity to convince an agent or a publisher exactly how and why readers everywhere will be better off with your book in their hands. Believe it! Find ways to connect with published authors, editors, and book marketers. Join a local writers group, attend writers’ conferences, and network online with others who have similar interests to yours. In my experience most authors are glad to share their knowledge and help other writers to achieve their publishing goals. Learn how to promote yourself and your work without apology, and be ready to take the next step when the door opens (and it will!). Among the many things I enjoy about writing, one of my favorites is being surprised when I write. For example, a fiction character may reveal something about herself that I didn't know when I sat down to write a scene, or she will generate dialogue that I did not intend to write. Often when I write inspirational nonfiction, something wise or profound will present itself in the mere process of typing out my thoughts. Writing is wonderfully mysterious and creative. How can your fans connect with you? First, Dee, tell us a little about yourself. I am not an author, but love to read. 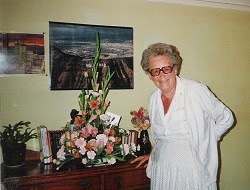 I am retired and decided to transcribe Marjorie Owen’s (my deceased mother-in-law) writings for publication. I have recently moved to Cyprus. What made you decide to move to the Cyprus? We have lived in the USA for over thirty years. Born in England but travelled the world. The reason we left USA was for several reasons. The first was due to Hurricane Charley hitting us in Punta Gorda, Florida. We had spent nearly eight years re-modeling our ‘ideal home’ and it was very badly damaged in the hurricane. We had been away for a month in our motor home and could not get back to our home for two weeks, therefore more damage was done. Once we were able to get back to our home, three more hurricanes went over us! We fixed up the house and sold it very quickly. Another reason for leaving was Mike, my husband, needed to retire. He was working all hours and getting burnt out. Also, both being self-employed, we found medical insurance very expensive to have proper coverage. 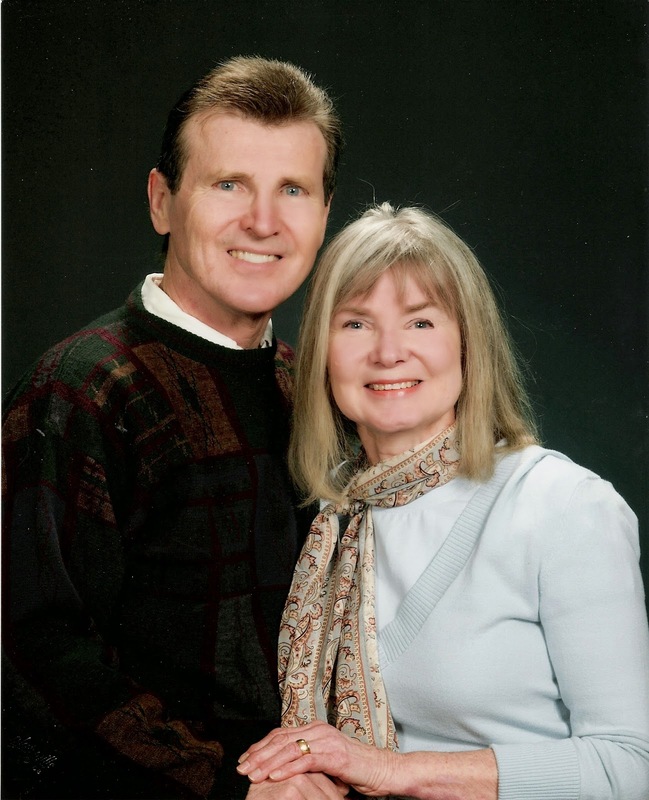 We chose to retire to Panama, Central America, bought a lovely house and stayed four years. Unfortunately, we had to have metal bars on all windows and doors for safety. It became more like a ‘prison’ and many of our friends had suffered home invasions, some even injured or killed. So we thought, where do we go in the world? For some unknown reason Malta came up. We moved and stayed in Malta for four years. Loved it, but it is a very small Island. Where next? We have good friends in Cyprus and have visited several times…so here we are…giving it a try! 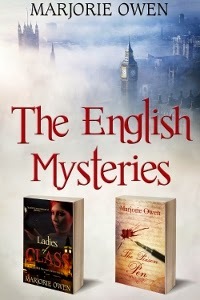 What genre did Marjorie Owen write? She wrote English Detective Mysteries. I would love to write and may try one day! The only writing I do at the moment is on my blog, Book Readers. I still have two books and about fifty short stories of Mum’s to transcribe. When did Marjorie start writing? I am not sure when Mum started writing. But Mike and I believe she began back in the 50’s. Nothing at the moment, but I plan to start working on one of Mum’s love story books. 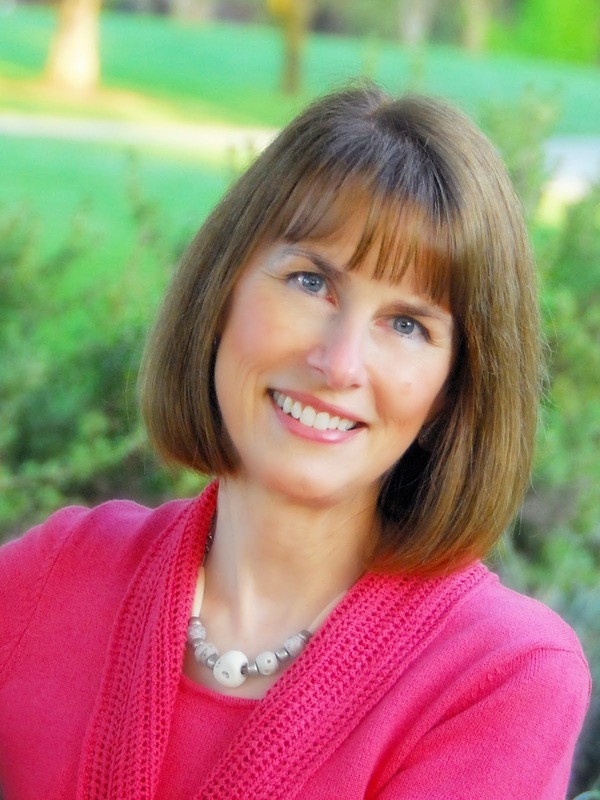 She wrote two mysteries, now published with Vinspire and two love story books. Who is your favorite character in her stories? 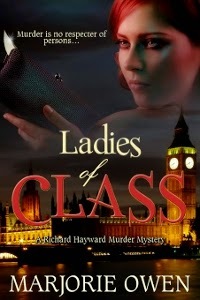 Well it has to be Chief Detective Inspector Richard Haywood. Who couldn’t love him? Do you see yourself in any of her characters? Not really. Perhaps CDI Richard Haywood’s wife Kate, or her sister Lucy. Good question. Where did Mum write? 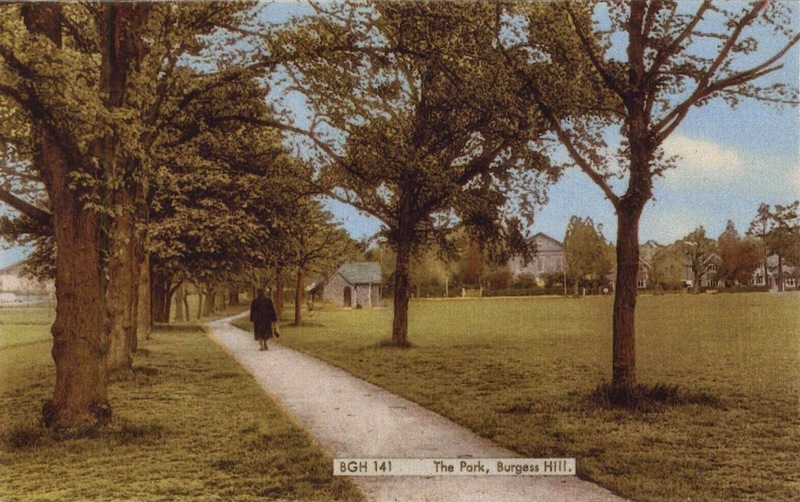 We believe in her little flat over-looking the park in Burgess Hill, Sussex, England which is part of the setting in ‘Ladies of Class’ renamed Burshill. Who were her favorite authors? Mum loved Agatha Christie, also Lilian Jackson Braun who wrote the ‘Cat Who’ series. Mum spent many hours in the Burgess Hill library, and was well know to the Librarians who would always keep books on hand for her. As a novice I had to go to the library, read, and learn how to write a query letter. Many were rejected until our wonderful publisher, Dawn Carrington agreed to read and publish Mum’s first book. Believe in yourself, write from the heart, and keep writing. Would you like to acknowledge someone for their assistance? Yes, I give my sincere thanks to Dawn for helping me, in more ways that can be expressed, to honor Mum’s memory and writings. 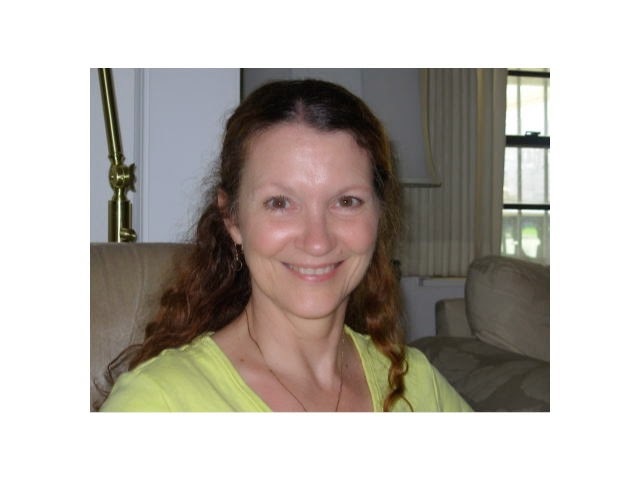 How can Marjorie's readers learn more about her and her writings? There are milestones in life. Marriage to Joe was a major one for me. Becoming a Christian...wow, that was huge. But there are other things we accomplish that stop us in our tracks and makes us think, "Did I really just accomplish that?" When I got accepted to Physical Therapy school I was stunned, but that was soon over-shadowed by passing the state exams to become a PT. I still remember that shiver up my spine when I wrote "The End" on my first novel, Counterpart. 105,000 word book! Then I got a one-hundred dollar check for book sales...I cried. 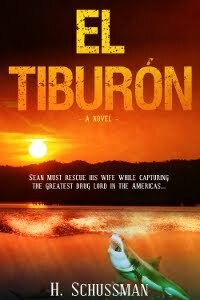 Recently I submitted my second novel, El Tiburon to Vinspire Publishing and they accepted it. Now I'm wise enough to know it will be even bigger when they actually publish it. I write Young Adult, although I do have one contemporary romance coming out in 2015, but it's definitely of the sweet variety. I've written my whole life, but I started writing novels in 2007. A situation involving one of my students inspired the story of "Confessions of a Teenage Psychic." I have a completed YA with a working title of "Miss Match" which is a cross between Cher in "Clueless" and the character Mel Gibson played in "What Women Want." My POV character is named Emma Austin, she makes matches among her friends, and she has a special ability that helps her out. I'm also working on a New Adult novel about two star-crossed lovers who have tried to be together through the centuries. I have to admit that my favorite character is Caryn Alderson, my teenage psychic. 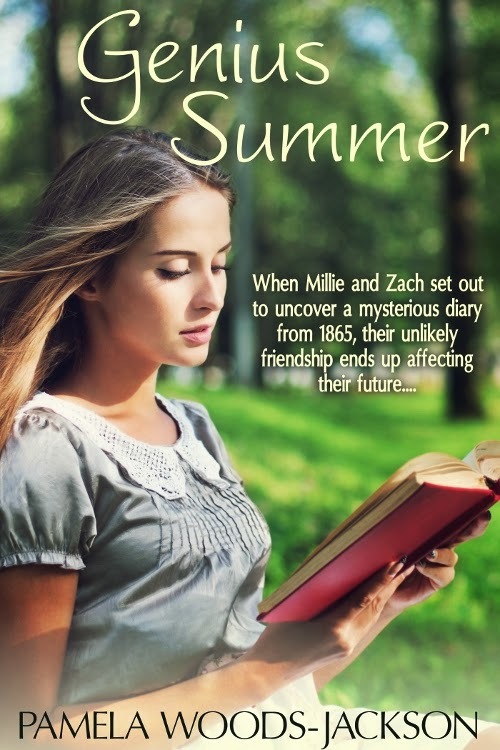 Second favorite is Synthia Whitfield, my nineteenth century journal writer in "Genius Summer." 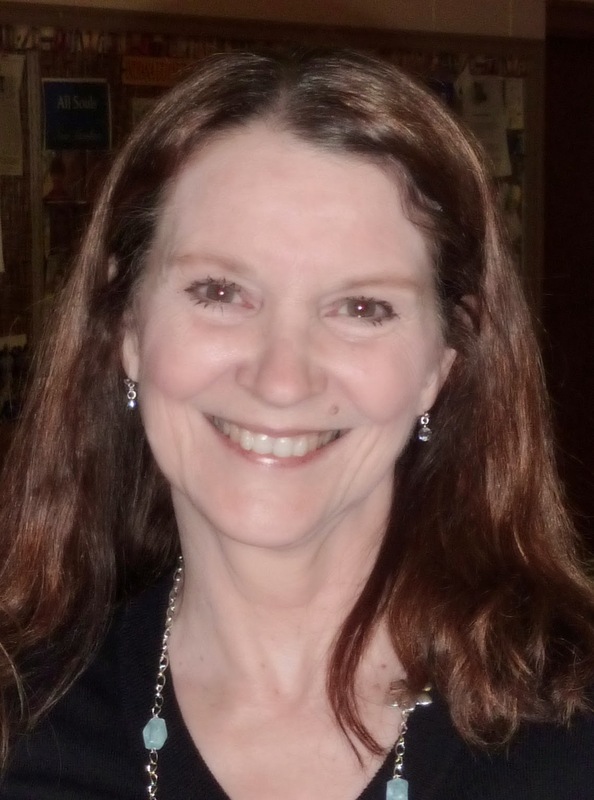 I see my former students in many of my characters, but the only one I see in myself is Susan Benedict from my soon-to-be-released "Certainly Sensible." I write in my upstairs loft area. It's open to the rest of the house, plus has windows looking out on my neighborhood. Hands down, it's Jane Austen. Query letters are tough, but I try to tailor them to the person/publisher I'm sending it to. Adding a personal touch (oh I see that you also majored in English/love Jane Austen/live in Indiana, etc.) is also a good way to connect with the recipient. Would you like to acknowledge someone for their help/assistance/faith in you? My first editor ever, Susan Yates, helped me turn "Confessions of a Teenage Psychic" into a viable story. 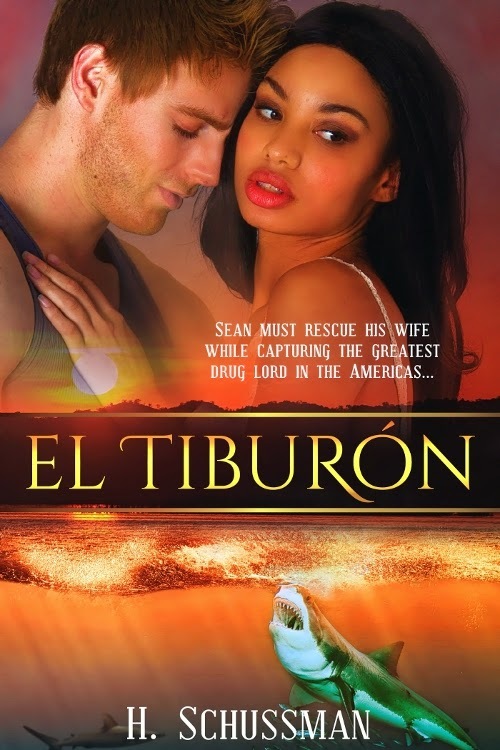 I'd also like to thank family friend Lee Wilson (author of "Rebel on Pointe") for being my advanced reader, and my brother Robert Woods for his encouragement. How can your readers find out more about you? First, Bob, tell us a little about yourself. I originally moved from New Jersey to San Diego and eventually landed in El Dorado Hills, a small community next to Folsom, CA. I will be 70 this year, so it’s never too late to begin a new career as long as heavy lifting isn’t a requirement. My published work is in Christian Biblical Studies. 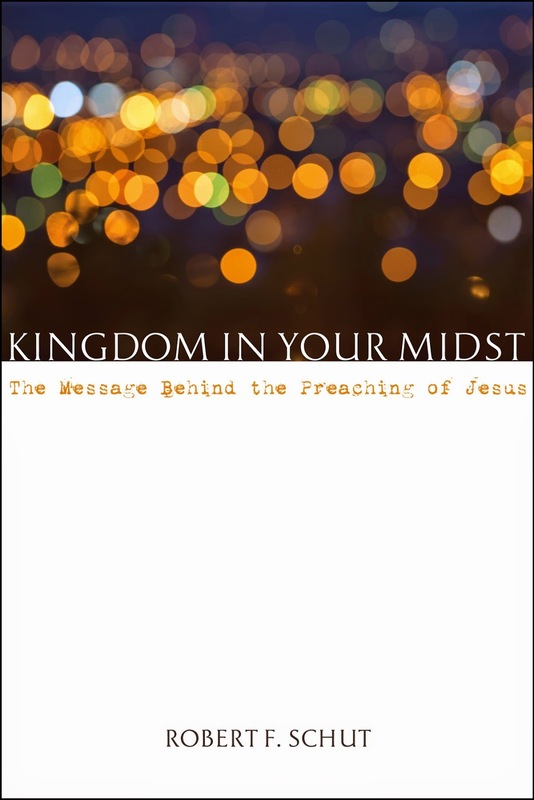 My audience, however, is not the academic world, but the average church-goer who would like to look a little deeper into the teachings of Jesus without wading through pages of footnotes. I only use those when I refer to someone else’s work or when it’s absolutely necessary to further explain the passage. I am more interested in the inspirational side of Jesus’ teachings rather than the intellectual. I began writing seriously when I started teaching the Bible at my church. I could not find any Bible study materials that were appropriate for a class of people who seriously wanted to know more about the Bible. Most of the studies I found left many of the difficult questions unanswered, if they even addressed them at all. I wanted something that confronted the difficult and controversial questions head-on. Since none were available, I began to write my own. At this point I am still finishing up the loose ends of my current book. Since this is my first published book, every step is a learning experience. Although I am not actually working on a new book, I constantly have seeds of ideas that I write down hoping that soon they will reveal a pattern that can be molded into one cohesive book. I would really like to produce a book that would encourage people to see their faith, not as a composite of independent, isolated ideas and events, but more as a unified whole integrating all their ideas and experiences. I have a nice office in my home next to a window that overlooks the foothills of the Sierras. Since I’m now retired I try to spend as much time as I can writing, but much of that time is spent developing Bible studies for my class at church. I must point out that I do have to share my desk with my cat, Willy—I have little choice in the matter. Who are your all-time favorite author? I have some favorite authors, but they each offer me a different perspective and I like them for very different reasons. For instance, I love reading Soren Kierkegaard. He is by far my favorite philosopher. He stands head and shoulders above all the others; although he is a little challenging to say the least. I also enjoy the works of F.F. Bruce as a Greek theologian as well as Gordon Fee. I have to also mention Craig Blomberg, Richard Bauckham, and finally N.T. Wright. Reading these great authors has taught me how to be a better writer. My publisher did not actually ask for a query letter, but for a sample chapter from the book. By the time I decided to have it published the book was almost complete. What I did find difficult was picking out one chapter that would best exemplify the book. I knew a lot was riding on this one chapter and so I did what any good author would do—I asked my wife. It appears she made the right choice. Look into the field of writing with your eyes wide-open. There are a lot of people out there waiting for naïve writers who would do almost anything to get published. Join a writers group or club to become more knowledgeable about what to avoid and what to pursue. Expect to do a lot a work after the book is published if you want it to be successful. You have to learn how to be a good business person as well as a good writer. I would also suggest that whatever you write, write it with passion. And try to set your writing goals on what it will do for your readers rather than for yourself. This will help maintain a higher level of integrity in your work. Also, read good authors. You will instinctively pick up good writing habits without even realizing it. I really have to thank the members of my Bible study class as they have been my proof-readers and critics. Most of all I have to thank my wife for her patience in giving me the time I needed to think through and prepare each chapter and for reading them over again and again looking for errors as well as approving changes.